warm up with body movement/ shines etc. Partnerwork will be more complex building upon foundation. Group will accelerate to fit the average level of everyone within class. If this level is above your skill you are welcome to join but know that the class will progress faster. 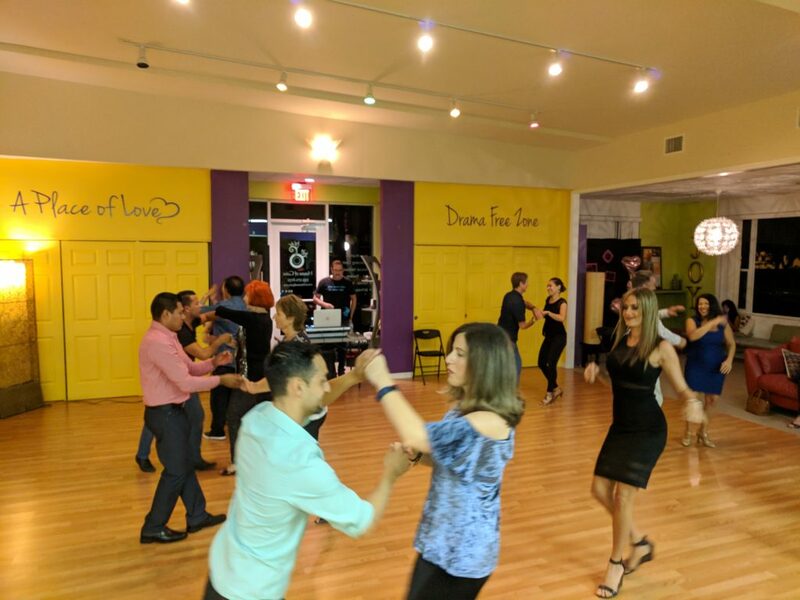 First time dancers with Kumodance can experience for just $5 for 1 class. 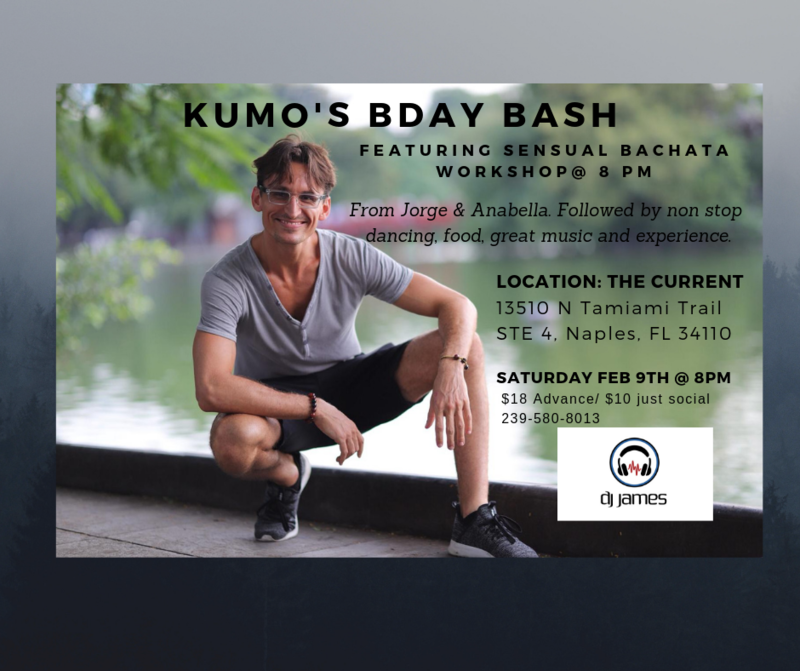 – Guest instructor Jorge Enrique Valero & Anabella Gimenez will be back to teach a sensual bachata workshop! – Beautiful large venue of the current to hold more dance floor space to get your dance on! – Our very own Anthony “Kumo” B-day month! – DJ James playing great music in Salsa, Bachata, Cha cha, Merengue and Hustle.